Five familiar faces in the lineup this week as the competition for places continues. The Sharks guard makes it two appearances in the last three weeks after a scintillating first-half display against Worcester Wolves. Alexander racked up 27 of his 32 points in the opening 20 minutes to help set the platform for victory, whilst also adding five assists. Smith stepped up for the Eagles in their overtime win over Surrey Scorchers on the road with a season-high 31 points. The American also corralled nine rebounds and five assists along with two steals with Newcastle without their leading scorer in Victor Moses. A fourth appearance for Williams and yet another 30-point game for the Sharks. The high-flyer totalled a joint game-high of 32 points including six threes in the win against Worcester with six rebounds, five assists and three steals completing a huge night. 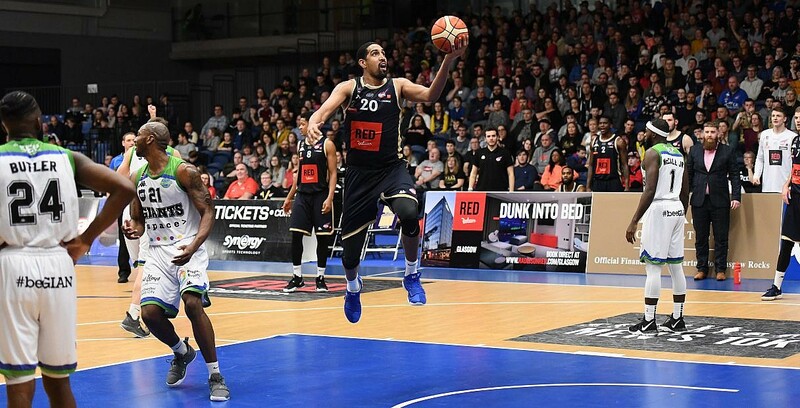 The former GB captain helped seal a place at the British Basketball Cup Finals with another impressive all-round display in Sunday’s Second Leg victory. Achara posted a game-high of 22 points on 70% shooting, whilst adding eight boards, three assists and two blocks against the Giants. A return to the lineup for MBA having started the season with back-to-back appearances. Bryan-Amaning scored 22 points in the home win against Sheffield in a strong display in the paint at both ends after also serving up five rejections to go with seven rebounds, three assists and two steals.